Can human creativity triumph over human destruction? Germany, 1945. Monuments Man John Skilton arrives in the bombed-out city of Würzburg with orders—and a personal mission—to rescue art from the ravages of war. Among the ruins, he discovers a series of magnificent frescoes that have miraculously survived the devastation. But who painted them? More importantly, how will Skilton save them from total destruction? The answers will bring him face to face with the Tiepolos: Giambattista, the Venetian painter whose vibrant, witty style catapulted him to fame in the 18th century and made him the most successful painter if his day. And Cecilia, his beautiful, cunning wife, mother to their tribe of talented children and the model for the lush, leonine beauties that appear everywhere in her husband’s works. 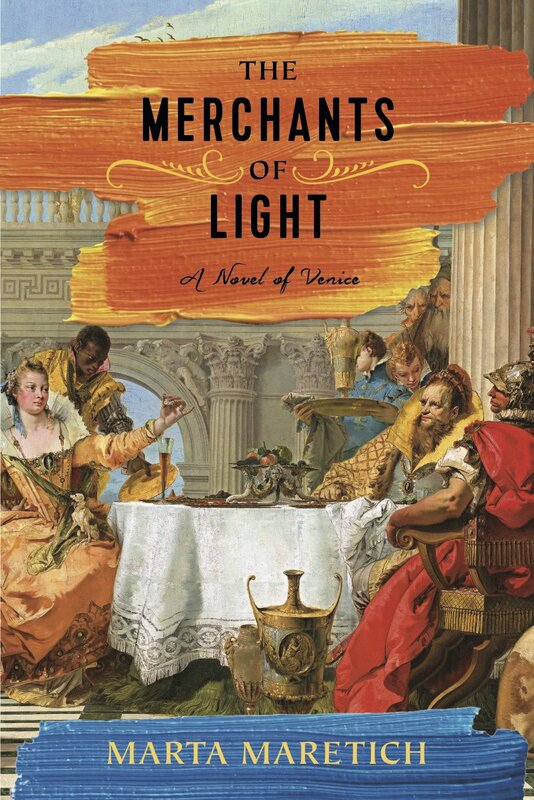 Set largely against the background of the Venetian Republic in its final flowering, The Merchants of Light tells the true story of a family that lives, loves and dies by painting. In a narrative underpinned with painstaking research, a cast of historical characters including Casanova, Consul Joseph Smith and Enlightenment thinker Francesco Algarotti lend their voices to a tale that spans three centuries and reveals the human passion and hard-nosed business dealing that lie just beneath the surface of some of the world’s most heavenly works of art. With enduring resonance for our own times, The Merchants of Light is also the story of Skilton, the modest curator-turned-soldier whose struggle to save Tiepolo’s masterpiece is itself an act of creativity, one that turns him into a new kind of hero for our times.